Sometimes, someone that once needed to access the resource planning tool, doesn't need it anymore. That's why you can delete users. But remember! Users aren't resources. If that someone had a resource, you'll probably need to delete or archive that, too. 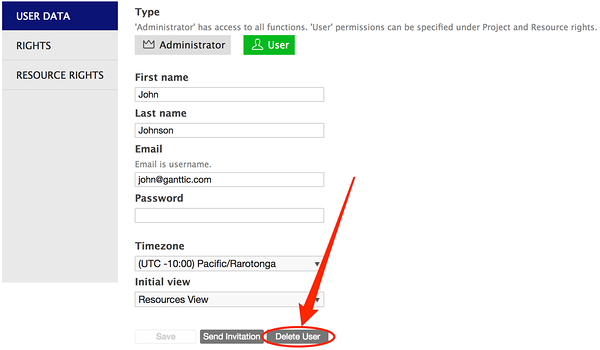 Once you delete a user, the user cannot access your account. Deleting cannot be undone unless you add the user again. You can do that by clicking on the 'USERS' icon on the sidebar. You can do that by clicking on it. You'll find it below all the other options. Once you do it, the user cannot access your account anymore. Did not find the answer to your question regarding deleting users?